Teeth grinding (also called bruxism) can negatively affect your oral health. When the teeth are ground together, the force can cause injuries to the teeth, the gums, and the jaw joints. Tooth enamel can gradually be worn away with habitual teeth grinding, exposing the sensitive inner portion of the tooth. Problems with the jaw joint (such as a TMJ disorder) also result from too much grinding of the teeth. The cause of the tooth grinding will need to be determined so that the appropriate treatment can be given. Teeth grinding is one of the things people do to subconsciously either in their sleep or when stressed. Stress – Stress is one of the most common reasons why people grind their teeth. When you feel stressed, the easiest way to let some of this stress out is to simply grind your teeth – a habit that can have severe consequences in the long run. Negative Emotions – Anger, anxiety, and frustration can also be triggers for frequent teeth grinding, especially when these emotions are kept hidden and suppressed. Misaligned Teeth – Improper teeth alignment can cause the upper and lower teeth to forcefully grind against one another. 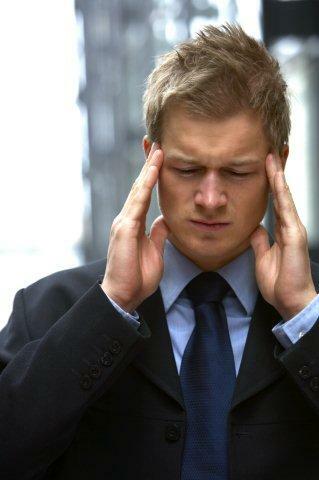 Stress Management – Managing stress can significantly help unconscious teeth grinding. Dealing with stress in a more positive manner will help stop the grinding of the teeth together. Exercises that promote overall relaxation, as well as counseling, can help you deal with stress without having to resort to grinding your teeth all the time. Orthodontics – If improper teeth alignment is causing the teeth grinding problem, orthodontics or the use of dental braces can provide a much-needed solution. The involuntary grinding together of the teeth will be solved when the teeth are moved into a the correct position with the help of orthodontics. 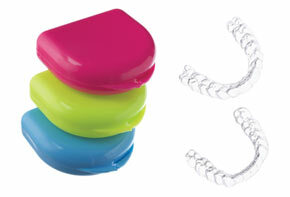 Mouth Guards – Customised mouth guards perfectly fit over the teeth, and prevent them from grinding against one another in a harmful manner.